Number of championships: La Liga - a record 33 times. Number of Cup wins: Copa del Rey – 19 times, Supercopa de España – 9 times, Copa Eva Duarte – 1 time, Copa de la Liga – 1 time, UEFA Cup – 2 times, UEFA Super Cup – 3 times, Latin Cup – 2 times, Intercontinental Cup – 3 times, FIFA Club World Cup – 2 times. UEFA Champions League wins: a record 12 times. * Book Official Real Madrid Tickets Now! * Real Madrid Tickets Have High Demand, Don't Miss The Opportunity. * Real Madrid Tickets Are 100% Guaranteed. Real Madrid C.F., more commonly known as Real Madrid, are a professional football club based in Madrid, Spain. They are most famous for their presence in the La Liga and Champions League, making them one of the most successful and popular teams in the footballing world. Real Madrid was founded in 1902, originally named Madrid Football Club. The team's name was changed to Real Madrid, after King Alfonso XIII of Spain granted it the title "Royal" (Real) in 1920. The club's first title was in 1905 - the Spanish Cup. But the club didn't see success until 1931-32, when the team won the Spanish League for the first time and won it again the following year (1932-33). In 1943, the team won the Copa del Generalissimo, beating their rivals FC Barcelona. The 1950s were a busy time for Real Madrid as their stadium and training facilities were being rebuilt after the devastation caused by the Spanish Civil War, which was later to become the world-famous Santiago Bernabéu Stadium, named after the club's president (Santiago Bernabéu). Despite the rebuilding of the stadium, the club were in the midst of a successful run on the pitch. During the 1950s and 60s, the team won the European Cup five consecutive times between 1956 and 1960, and for a sixth time in 1966. The 1970s also marked another period of success for Real Madrid, winning five league championships and three Spanish Cups too and the second half of the 1980s too, where they won two UEFA Cups, one Spanish Cup, three Spanish Super Cups, and five Spanish Championships. Around the time of the millennium, the club signed several star players, known as "the Galácticos", including the famous Cristiano Ronaldo, David Beckham, Zinédine Zidane, Luís Figo, Roberto Carlos, Raúl and Fabio Cannavaro.The investment into the team looked promising, as the team proceeded to win an Intercontinental Cup and the UEFA Champions League in 2002, as well as the League in 2003. However, the team's achievements in the next three seasons were disappointing. But thankfully, things looked up for Real Madrid in 2007, when the team won the La Liga. The following years marked more success as Real Madrid won La Liga again, for the 32nd time in 2011-12 - a record in the La Liga history. The following year, in 2012-13, the team won the Super Copa de España as well as the Copa del Rey. Not forgetting 2014, the year the team won the UEFA Champions League, becoming the first team to win 10 European Cups, as well as the UEFA Super Cup and the FIFA Club World Cup. Interestingly, in 2016, former Galáctico player, Zinedine Zidanne, made a return to the club - this time as a manager. Zidanne stayed at the club for just over two years, taking them from strength to strength and winning nine competitions. What is Real Madrid's Most Successful Period? The 1960s were, without a doubt, the most successful time for Real Madrid, under the management of Miguel Muñoz. 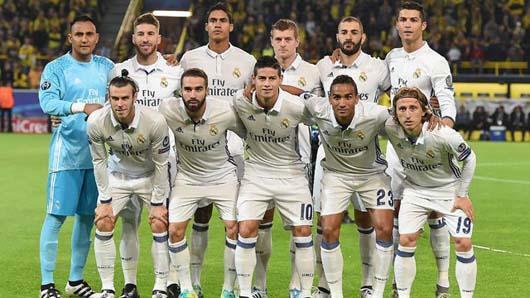 During this period, the team won the La Liga eight times out of the possible 10, as well as the Copa del Rey twice and the Champions League once. How to Buy Real Madrid Tickets on Ticketgum? Choose a Real Madrid game from the upcoming matches on the team's events' menu. Select your desired seating section and input your ticket quantity. Read the terms and conditions and click "agree". Confirm your Real Madrid Tickets purchase and wait for your confirmation email.